A feel-good tale of a homeless man using his last $20 to help a stranded New Jersey woman buy gas was actually a complete lie, manufactured to get strangers to donate more than $400,000 USA to help the down-and-out good Samaritan, a prosecutor said Thursday. In a stunning turn, a New Jersey couple and a homeless who hit headlines over a viral GoFundMe campaign are now all facing charges, according to WCAU. 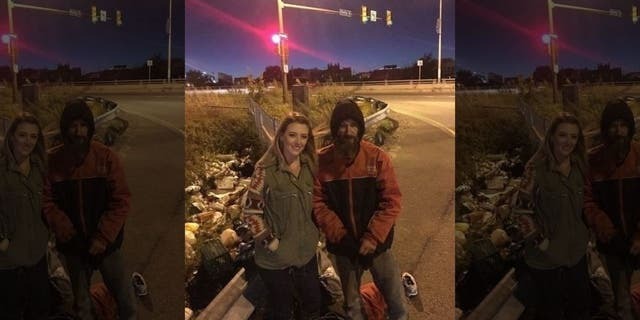 The story originated in November 2017 when Johnny Bobbitt, a homeless military veteran, was reported to have given his last $20 to Kate McClure, a stranded motorist on the side of the road in Philadelphia. The prosecutor's office said the "fake feel good story" was predicated on a "lie" concocted a month before they launched the campaign. "It was fictitious and illegal and there are consequences". Bobbitt Jr. was arrested on Thursday in Philadelphia, where he is being held pending extradition to New Jersey. D'Amico, 35, and McClure, 28, turned themselves in to Burlington County prosecutors this week. It's unclear exactly what parts of the story were allegedly made up, but NBC claims that the charges will include conspiracy and theft by deception. New Jersey prosecutors allege that Johnny Bobbitt Jr. worked with Mark D'Amico and Kate McClure in the rip-off. According to McClure, Bobbitt approached her vehicle, told her it wasn't safe and went to purchase her gas with his last $20. McClure has said that in an attempt to thank Bobbitt for his help, she set up the fundraising page, which brought in more than $400,000 and landed them in the national news. When asked if the trio would have gotten away with their scheme if not for their disagreements over the distribution of the money, Coffina said they very well may have. In September, GoFundMe told Gizmodo that it had decided that it would give Bobbitt the full balance of the remaining funds he was owed but the case has been in legal limbo ever since. Now, investigators say it was all a ploy to raise money. His attorney alleged in court papers that the couple treated the donations like their "personal piggy bank to fund a lifestyle that they could not otherwise afford". Bobbitt's lawyer says his client received about $75,000. The couple denied the allegations and in return, accused Bobbitt of spending $25,000 on drugs among other things in less than two weeks. GoFundMe had said Bobbit would get the balance of the donations no matter how the money was spent.